Summer is here and what could be better than running around through nice cool water outside. 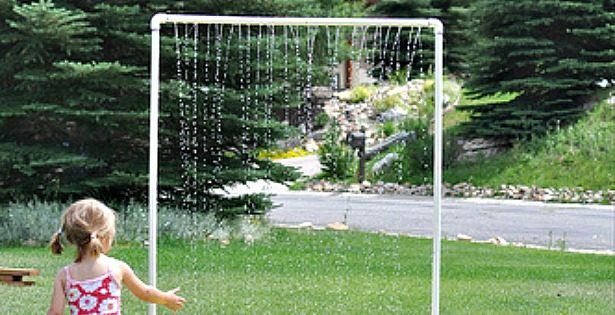 We love this easy to make DIY Lawn Sprinkler used for the kids (and big kids) to run through and cool off. 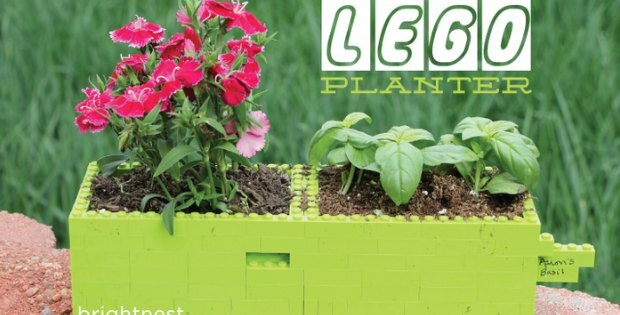 The hose adapter will attach the plastic bottle to your garden hose, so it is best to measure your bottle and hose before purchasing the adapter. If you don’t want to use the adapter you can simply attach the bottle to the hose with duct tape. If using duct tape make sure you use plenty of it so it doesn’t leak or detach. 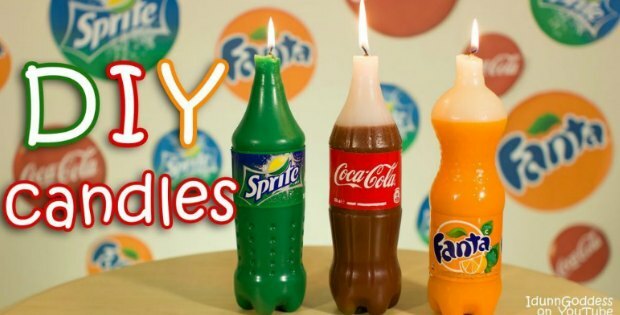 To get started you will need to rinse out your plastic bottle and remove the label. 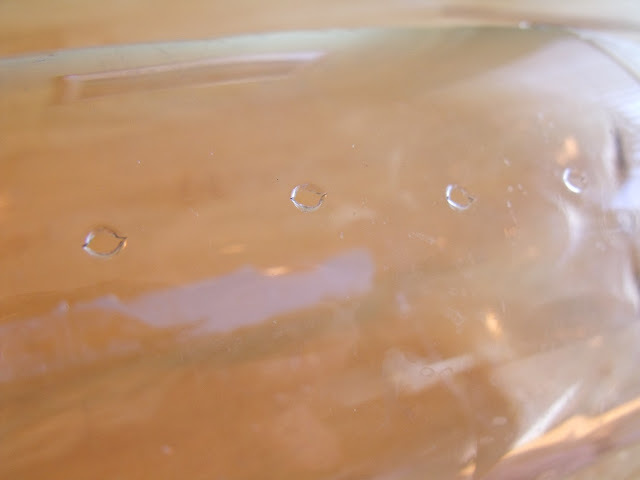 Then poke holes only on one side of the bottle with the push pin or a needle. Take the bamboo skewer and push it through the pin holes to make them slightly larger. 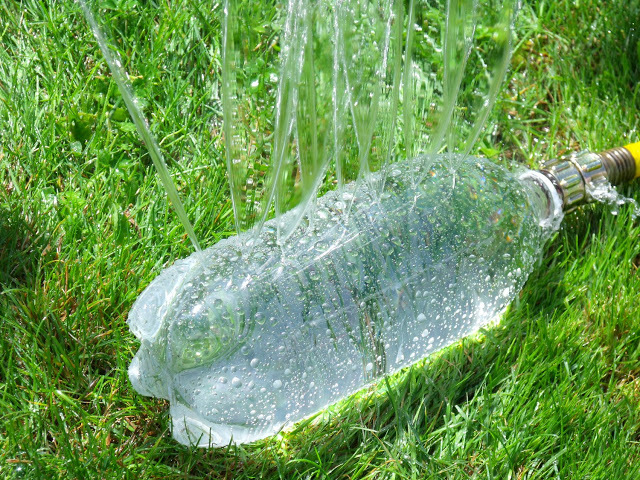 Then attach the plastic bottle to the garden hose, using either the adapter or the duct tape. You are now ready! Get your swim suits on and turn on the water! 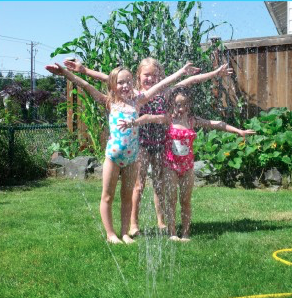 You can experiment with the water pressure for a larger or smaller sprinkler. 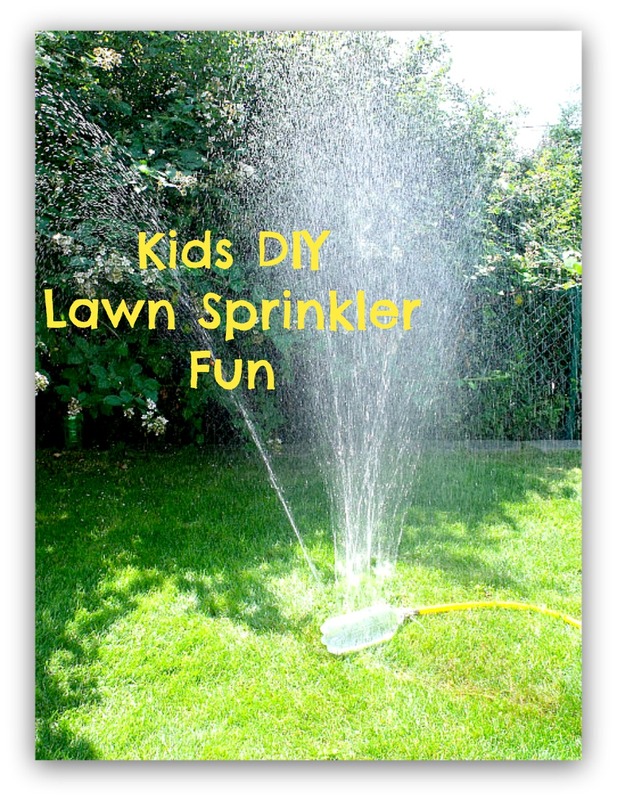 The sprinkler should last you quite a few uses and even a few years if you store it correctly. But the good news is that it is so simple and easy to make that you can do it all again next year. Try getting a few of these made up so that you can have them all on a the same time for a water obstacle course. And when not in use as a fun summer pass time you can have them on low pressure as use it to water the garden. Perfecto!